Gaming has proven to have huge appeal on the iPhone. Because of that, there are a thousands of games in the App Store — which is great for consumers, but it can also be overwhelming. And it can be frustrating for developers who can see their work easily lost in the sea of apps. 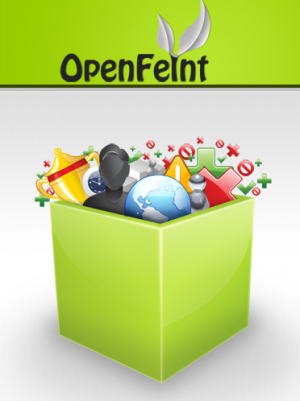 The iPhone social platform OpenFeint is trying to alleviate some of those problems. And it has rallied some big indie iPhone game developers to the cause. The developers behind Trism, Boulder Dash and Pocket God among others have aligned themselves with the OpenFeint platform. Pocket God has recently spent a long time at the top paid app in the App Store, and it still holds the number two spot. Trism, has been one of the most popular games for the iPhone and it has made its developer, Steve Demeter a lot of money — something which Apple itself has played up a few times. Demeter had actually been working on his own platform, called Onyx, but dropped development of that to get on board with OpenFeint. But why are these app integrating OpenFeint? Well, the developers see it as a way not only to add a social layer to their apps — users get profile pages, Facebook-like walls for others to write on, the ability to chat in games and more — but, the platform now includes a new feature dubbed “One Touch iPromote,” which gives users a simple way to find and buy other OpenFeint-supported games their friends are playing. OpenFeint users can invite other users into “lobbies,” where everyone can see what everyone else is playing. A user can then decide to play the same game or click on the link to buy it. Basically, these developers are creating their own sub-ecosystem outside of the App Store to get the word out about their games. And that’s an enticing proposition for a lot of indie app developers who don’t have the marketing resources of some of the bigger game studios that are now moving in on the iPhone platform. And when it includes games that already rose from nothing to become hits, like Trism and Pocket God, the idea is even more enticing. And this is a smart play by OpenFeint founders Jason Citron and Danielle Cassley (who named the platform after their early hit game for the iPhone Aurora Feint) because it gives developers a reason to use their platform rather than simply go with Facebook Connect (which you can also use with OpenFeint). Facebook unveiled Facebook Connect for the iPhone at SXSW a few weeks ago, as an easy way for developers to leverage the huge social network to add a social layer to apps. So what’s in it for OpenFeint? “One Touch iPromote will be based on revenue sharing. When a user clicks on a game in a Feint Lobby and then goes on to buy that game the developer and OpenFeint will get a percentage of that sale,” an OpenFeint spokesperson tells me. There are now 21 iPhone games using the OpenFeint platform. Version 1.5 of OpenFeint was unveiled today with this new One Touch iPromote feature.